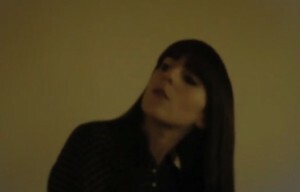 I can soundly say that the latest video of L.A. based singer songwriter and multi media Ramona Gonzales aka Nite Jewel is quiet in tune with Paris weather. Slow, warm and rainy, Clive sends expresses somehow the strange emotional landscape made out beauty and loneliness that is Paris this summer. Part of her latest album One Second of Love, the track Clive softly sends me to the abstract and I like it.